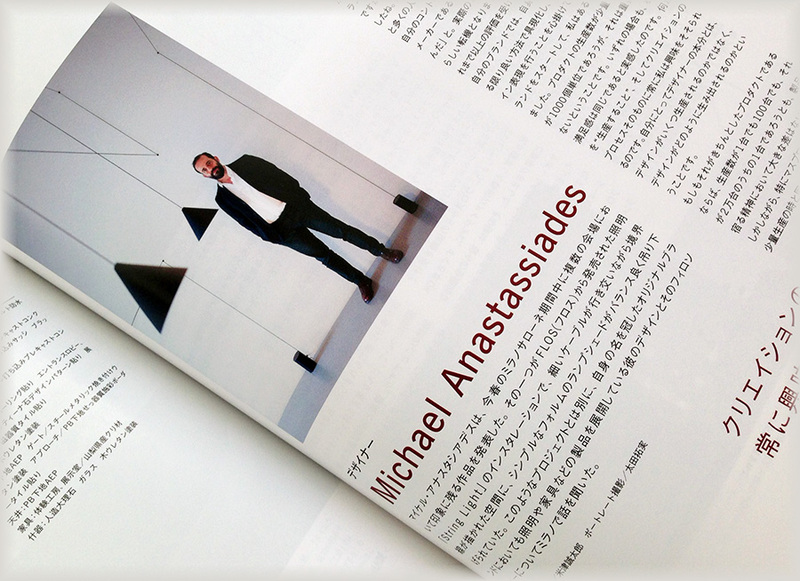 I wrote an interview article with Micheal Anastassiades on an up-to-date issue of “Shotenkenchiku”, Japanese interior design magazine. I hope you enjoy my article and this month’s issue! Please see another contribution about Michael Anastassiades’s “String Lights”.